Gorgeous! 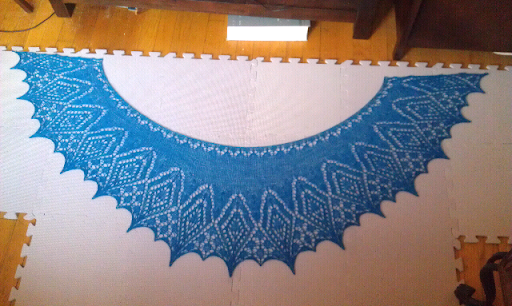 I don't do lace yet, so I don't really know much about re-blocking. But this was so worth a second time. 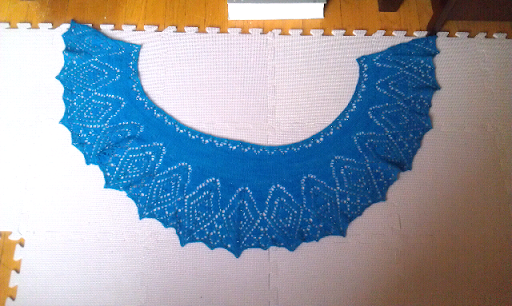 That is an Amazing shawl...blue and blocked. 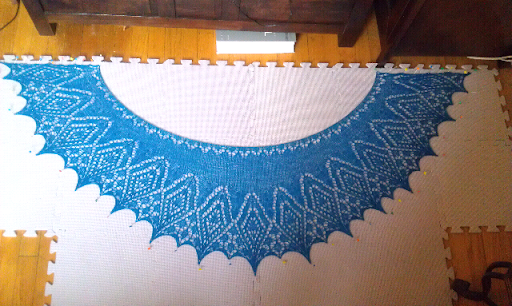 I dont block...I think it might kill me.... hee hee. well, I take it back, i've blocked berets on dinner plates, does that count?